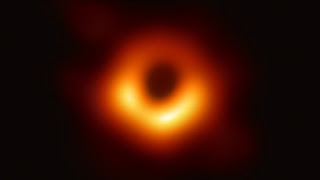 The first Black Hole image of the Event Horizon Telescope (EHT) is Wrong, it is a Fraud. The image of the supermassive Black Hole that lies at the centre of the huge Messier 87 galaxy is Einstein Black Hole image, it is Einstein description of gravity! We do not need to look for Black Holes in another galaxy. 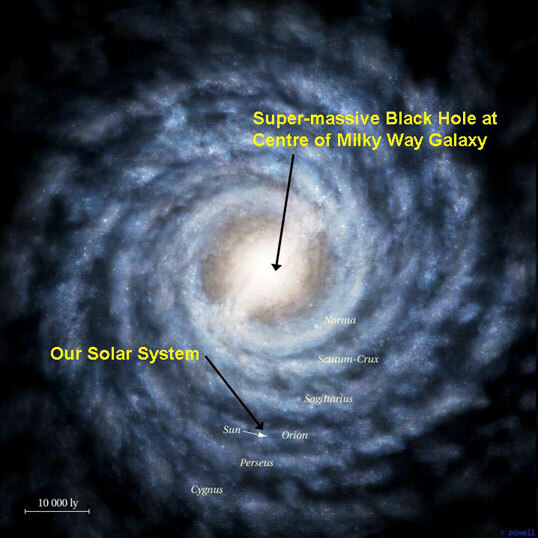 Milky Way galaxy has a supermassive Black Hole, 4.1 million solar masses, at its center, 26000 light-years from the Solar System. Einstein supermassive Black Hole is a Singularity! Ferent supermassive Black Hole has very small volume! “Einstein bent the space, Ferent unbent the space"
Einstein supermassive Black Hole image is Black! Ferent supermassive Black Hole image is White! “The energy of the Gravitons inside a Black Hole, is much higher than the energy of the gluons"
“Gravitational radiation is the most penetrating type of radiation"
“Newton and Einstein did not understand Gravitation, they calculated Gravitation"
Living in Romania, the most corrupt country, I understand very well the corruption in science. Like LIGO and the discovery of Higgs boson, the ‘EHT Black Hole image’ is another Fraud! The most difficult theory is Gravitation. Copernicus against toxic scientists confirmed that the Earth revolved around in the Sun. Ludwig Boltzmann was ‘killed’ by toxic scientists. In Ferent Quantum Gravity theory axions do not exist. Dark matter experiment finds no evidence of axions. Scientists in peer-reviewed journals published a lot of wrong articles about axions. 5. I discovered a new Gravitation theory based on Gravitons, which breaks the wall of Planck scale; I am the first who quantized the Gravitational Field. 6. I am the first who unified Electromagnetism and Gravity with Ferent equation for the energy of a photon E = h × f + a × f.
7. I discovered Ferent equation for elementary particles; Standard model is wrong, do not explain Gravitation and heavier elementary particles have more Dark Matter. 8. I discovered a new Evolution theory based on consciousness evolution. 9. I am the first who discovered that Gravitons with highest energy are emitted by Black Holes, they change Matter in Dark Matter inside the Black Holes; this explains the lack of extraterrestrial civilizations in the center of our galaxy. 10. I am the first who calculated the mass and the energy of a Black Hole. A Black Hole attracts with greater force a planet, than the planet attracts the Black Hole. You learned that Dark Matter is ‘invisible’, is ‘transparent’! In Ferent Quantum Gravity Dark Matter is not ‘invisible’, is not ‘transparent’. Hawking did not understand Gravitation, Black Holes, Dark Matter and God! The equation on his gravestone is wrong. The scientists do not understand how the Sun was formed! You learned from your professors, from your books, from the greatest scientists…that formation of the Sun was triggered by shockwaves from one or more nearby supernovae, or by waves of energy traveling through space pressed clouds of such particles closer together! In Ferent Quantum Gravity there are 3 Universes: the Dark Matter universe, the Matter universe and the Spiritual universe. “I discovered that: a < h < s"
Multiverse represents multiple domains in the universe with different properties. Here multiverse means multiple universes, means multiple contiguous domains within a larger universe, each with different properties such as different values of the physical parameters and different structures. Our universe is an island where the parameters, the space have enough complexity, to lead to a fascinating world, with forms of life. Our universe is the Planck universe. Ferent Quantum Gravity theory explains what happened at Ferent wall and after the expansion of the Universe attains the Ferent wall. There are 3 walls: the Ferent wall, the Planck wall and the Spiritual wall. Ferent Quantum Gravity is right because in our galaxy there is 5 times more Dark Matter than Matter. This means the Dark Matter universe is much bigger than the Matter universe. The Bible says that God created the Heavens and the Earth in six days. The Quran says that Allah created the Universe in 6 days. I am not talking here about things you know, like we are star dust, the carbon atoms in organic molecules were produced in dying stars by fusing helium atoms, not created by God. I am talking here about things you did not learn from your professors, from your books, from the greatest scientists, from clerics. In Ferent Quantum Gravity (FQG) I explained that a < h.
Is what the Bible says: The Bible says that God created the heavens and the Earth in six days, Spiritual Matter was before Matter. Heaven, Saints were first, before Dark Matter. This means the Saints must have density as Black Holes, how I calculated and this is wrong. This means the Saints are made of Spiritual Matter and have a density much smaller than human body. Third choice is right, this means a < h < s and the Bible and the Quran are wrong. That is why Ferent equation of the material and spiritual Universe is a very important equation! Professor Brian Cox from CERN and University of Manchester said: ‘CERN disproved the existence of ghosts’. Stephen Hawking wrote: ‘God does not exist’. I explained that the equation on Stephen Hawking gravestone is wrong! I discovered the Soul equation, the Soul is a ghost made of Spiritual matter that can not be detected at CERN. At CERN they did not detect Dark Matter and in my view they did not discover the Higgs boson, the ‘God particle’ and the Nobel Prize was a Fraud; that is why now CERN is closed. What is the Soul, made of Spiritual Matter? It is not easy to understand both Science and Spirituality. My Father helped me to understand Science and my Mother helped me to understand Spirituality and I read more than 200 books about Spirituality. You learned from your professors, from your books, from the greatest scientists that Black holes are very cold. They are cold because they absorb everything including all heat. Bigger Black holes, they absorb more stars, planets…they become colder; because your professors, the greatest scientists did not understand Gravitation, Black holes and Dark Matter. The power of the Hawking radiation from a solar mass black hole turns out to be minuscule: 9 x 10^(-29) W.
For a black hole of one solar mass, we get an evaporation time of 2×10^67 years, much longer than the age of the Universe. Hawking and all the scientists did not understand Gravitation and Black holes. Dark Matter has another structure, based on Ferent length lF = 1.296 × 10^(-69) m much smaller than Planck length lP = 1.616199×10^(-35) m.
Dark Matter does not emit, reflects, absorbs light. Hawking Radiation: black holes will generate virtual particles right at the edge of their event horizons. The most common kind of particles is photons. A pair of these virtual particles appear right at the event horizon, one half of the pair as negative energy drops into the black hole, while the other as photon is free to escape into the Universe. String theory and Loop Quantum Gravity are wrong theories because both of them predict Hawking radiation. All Gravitation theories based on Einstein gravitation theory are wrong, for example String theory, Loop Quantum Gravity. You learned from your professors, from your books, from the greatest scientists…that Dark Matter is ‘invisible’, is ‘transparent’ Matter. You learned that Dark Matter is some form of material that does not emits, reflects, absorbs light. This means the light goes trough Dark Matter because light does not interact with Dark Matter. The wrong picture where Matter only accounts for 4.9 percent of our universe; another 26.8 percent is constituted of Dark Matter and 68.3 percent is constituted of Dark Energy. The scientists thought because there is 5 times more Dark Matter than Matter, because they did not detect Dark Matter which does not interact with light, the scientists have come to the conclusion that Dark Matter is ‘invisible’, is ‘transparent’ Matter. When you look at the sky and you do not see Dark Matter, this means it is ‘invisible’, is ‘transparent’! Here are 2 examples, Lisa Randall professor from Harvard university and Dan Bauer physicist from Fermilab, of what the professors, the scientists think about Dark Matter: they think that Dark Matter is ‘invisible’, is ‘transparent’ Matter! Visible light is usually defined as having the wavelength around 5 × 10^(-7) m.
In Ferent Quantum Gravity, FQG, Dark Matter with this volume has a density higher than Planck density! I consider the Dark Matter density for this volume 5.2 × 10^99 kg/m^3, much smaller than Ferent density. This is a huge mass, because Dark Matter has another structure, based on Ferent length much smaller than Planck length. Light will not cross Dark Matter with the volume V and the mass M.
Light will not cross Dark Matter with the volume V because the Gravitons from Dark Matter will transform light in Dark Matter. The human body is a quantum system composed of Matter, Dark Matter and Spiritual Matter. The aura is the energetic field that surrounds the human body as well as every organism and object in the universe. We see paintings of Christian saints with a circle of white or yellow light around their heads, or angels with their halos; this is the way how people imagined the energetic field of the human body. In Christianity, the apostle Paul introduced the concept of the spiritual body, (1 Corinthians 15:44), describing the resurrection body as ‘spiritual’. The aura is made up of several layers of subtle energy. The Spiritual body is made of Spiritual Matter evolving in time. The most general form of the time-dependent Ferent equation of the Human body. The Spiritual body is made of Spiritual Matter, composed of S spiritual elementary particles evolving in time. The time-dependent Ferent equation of the Human body, which gives a description of the Human body as quantum system, made of Matter, P elementary particles, Dark Matter, R elementary particles, and Spiritual Matter, S elementary particles, evolving in time. The solution to the Ferent equations is the wave function: Ψ. The information about the quantum system is contained in the solution to Ferent equations, the wave function Ψ. The square of the absolute value of the wave function, | Ψ |2 is interpreted as a probability density. Ferent equations are Deterministic, because if I know the wave function at a moment in time I can determine the wave function later in time. The clerics are ignorant in science and the scientists are ignorant in spirituality. Scientists from the Pontifical Academy of Sciences were not able to discover a Transdisciplinarity equation or an equation to link Matter with Spiritual Matter. My Father helped me to understand Science and my Mother helped me to understand Spirituality.